The establishment year of the department is 2001 having accreditation by National Board of Accreditation, New Delhi in the year 2009. IT Department has academic standards and placements as two key objectives. The academic standards have been achieved by the intellectual property of our faculties. The faculty strives to foster and encourage a teaching methodology that is both practical and theoretical in approach. 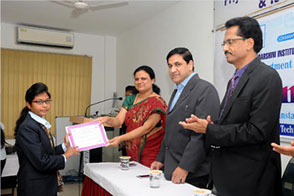 This pedagogy has also led to successful training and placements of students. Department organises guest lectures, industrial visits and other co-curricular activities for overall development of students. Every year IT department conducts technical programs like Project exhibitions, Geek-coders, LAN gaming, Robo-race, Campus- marathon under the banner IN-TECH Protocol which supports intercollegiate events. 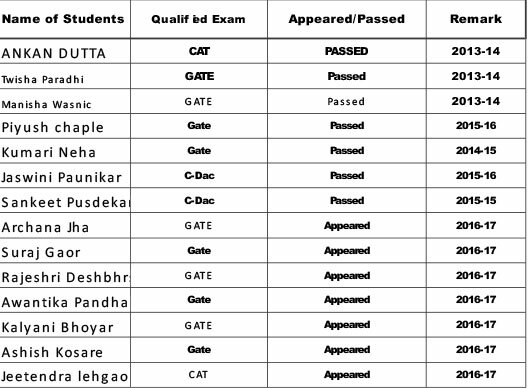 Faculties of the dept. help in making a healthy teaching learning process by being their teacher guardians. Prof. Pallavi M. Chaudhai is heading the dept. ; having an experience of successful 18 years. To achieve our institutional vision by creating a sustainable environment to develop quality technocrats by using Information Technology enabled services. 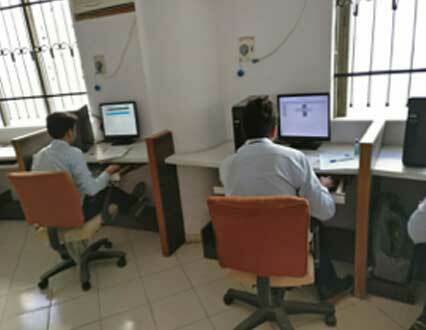 To provide high quality technical education for employability enhancement of Information Technology Engineers in turn contributing effectively towards the up-gradation of the industry and the society. The main objective of Information Technology Engineering Program is to build a technical bridge-way between students and IT Industries. These technocrats should be able to apply basic and contemporary science, engineering, experimentation skills to identifying software/hardware problems in the industry and academia and be able to develop practical solutions to them. The graduates of Information Technology Engineering Program should be able to use their skills with a strong base to prepare them for higher learning. 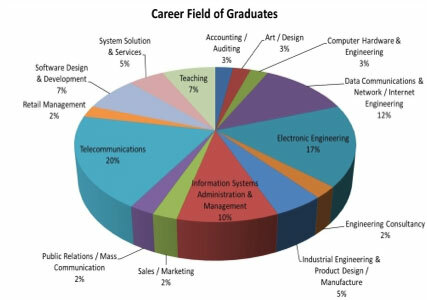 The graduates should be able to gain employment as an IT professionals. The graduates of Information Technology Engineering Program should be able to establish an understanding of professionalism, ethics, public policies and aesthetics that allows them to become good professional Engineers. The graduates of Information Technology Engineering Program should be able to develop an ability to analyze the requirements, to understand the technical specifications, to design and provide novel engineering solutions and to produce efficient product designs. 2. Problem analysis : Identify, formulate, review research literature, and analyze complex engineering problems reaching substantiated conclusions using first principles of mathematics, natural sciences, and engineering sciences. 7. Environment and sustainability : Understand the impact of the professional engineering solutions in societal and environmental contexts, and demonstrate the knowledge of, and need for sustainable development. 8. Ethics : Apply ethical principles and commit to professional ethics and responsibilities and norms of the engineering practice. 9. Individual and team work : Function effectively as an individual, and as a member or leader in diverse teams, and in multidisciplinary settings. 10. Communication : Communicate effectively on complex engineering activities with the engineering community and with society at large, such as, being able to comprehend and write effective reports and design documentation, make effective presentations, and give and receive clear instructions. 11. Project management and finance : Demonstrate knowledge and understanding of the engineering and management principles and apply these to one’s own work, as a member and leader in a team, to manage projects and in multidisciplinary environments. 12. Life-long learning : Recognize the need for, and have the preparation and ability to engage in independent and life-long learning in the broadest context of technological change. 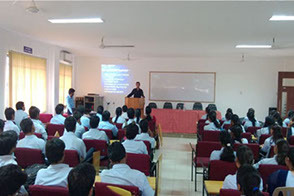 An ability to analyze, design, simulate and implement computer hardware / software and use basic analog/digital circuits, VLSI design for various computing and communication system applications. An ability to analyze a problem, design algorithm, identify and define the computing requirements appropriate to its solution and implement the same. IN-TECH is the name of student forum which is established on 9th September 2006 for the students for their Progress with Balance and the objective of this forum is to provide platform for overall development of the students which defines a balance between their personal, professional and educational life. 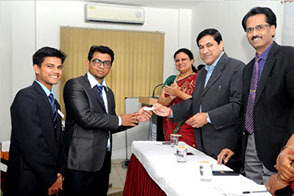 In the installation of Forum we have also felicitated the university rankers of IT dept. with the certificate. QualNet : The QualNet communications simulation platform (QualNet) is a planning, testing and training tool that "mimics" the behaviour of a real communications network. Simulation is a cost-effective method for developing, deploying and managing network-centric systems throughout their entire lifecycle. Users can evaluate the basic behaviour of a network, and test combinations of network features that are likely to work. QualNet provides a comprehensive environment fordesigning protocols, creating and animating network scenarios, and analysing their performance. WSN : Wireless sensor networks (WSN), sometimes called wireless sensor and actuator networks (WSAN), are spatially distributed autonomous sensors to monitor physical or environmental conditions, such as temperature, sound, pressure, etc. and to cooperatively pass their data through the network to a main location. The more modern networks are bi-directional, also enabling control of sensor activity. The development of wireless sensor networks was motivated by military applications such as battlefield surveillance; today such networks are used in many industrial and consumer applications, such as industrial process monitoring and control, machine health monitoring. VIRTUAL LABS : The project aims to provide remote-access to Laboratories in various disciplines of science and engineering for students at all levels from under-graduate to research. 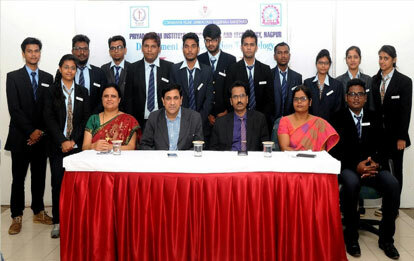 It also intends to develop a complete Learning Management System where the students can avail the various tools for learning, including additional web-resources, video-lectures, animated demonstrations and self-evaluation. There is also a component wherein costly equipment and resources are shared, which are otherwise available to only a limited number of users. The Project intends to cover physical sciences, chemical science and various branches of engineering like electronics and communications, computer science and engineering, electrical engineering, mechanical engineering, chemical engineering, biotechnology engineering and civil engineering. Software engineer : Software engineers are behind all the programs we run on our mobile devices and personal computers. The Department of Information Technology has achieved its heights by acquiring the Grants from AICTE (Rs.11, 88,900) under MODROBS which will be helpful for the UG and PG students in projects and for their research work and (Rs.2,00,000) under FDP on “Recent Trends in Artificial Intelligence�? for development of faculty members. Dr. Pallavi Chaudhari attended International Workshop on Big Data at Berlin, Germany. She is also a member of BOS at RTMNU, Nagpur. Faculties of department have published their research papers at International Conferences and Journals; many of them have papers in IEEE digital library. 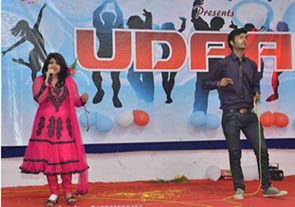 Udaan event is the annual cultural fest which is organised by college; our students have participated and even won prizes either in technical or cultural program as seen in the photographs. 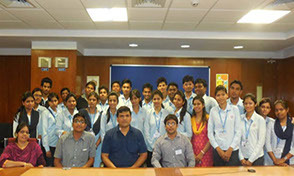 Guest lecture by expert faculties or senior student guidance and Industrial visits have also been organised in the dept. The photo graphs are as follows. 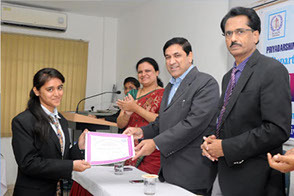 Senior Students placed in reputed IT companies guiding the juniors as well as inspiring the faculties of dept. 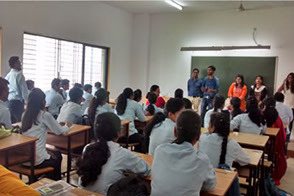 Every year in department a new team of youngster is made; who behave as the role models for the other students and also help them to carry out their educational life of engineering. 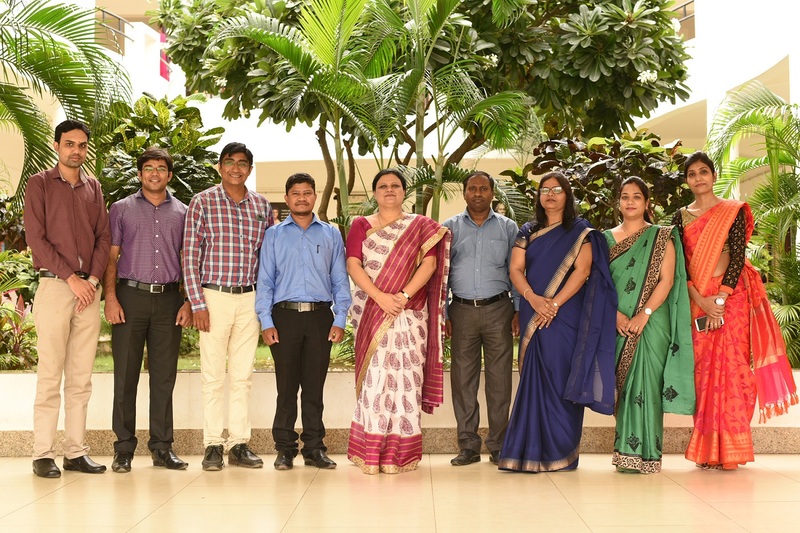 This team of office bearers are given the designations of president, vice-president, secretary, treasurer, event-head, magazine-head and many more. They even conduct the programs for In-Tech Protocol event.